We are very proud of our security officers for the quick response and help in a recent incident. 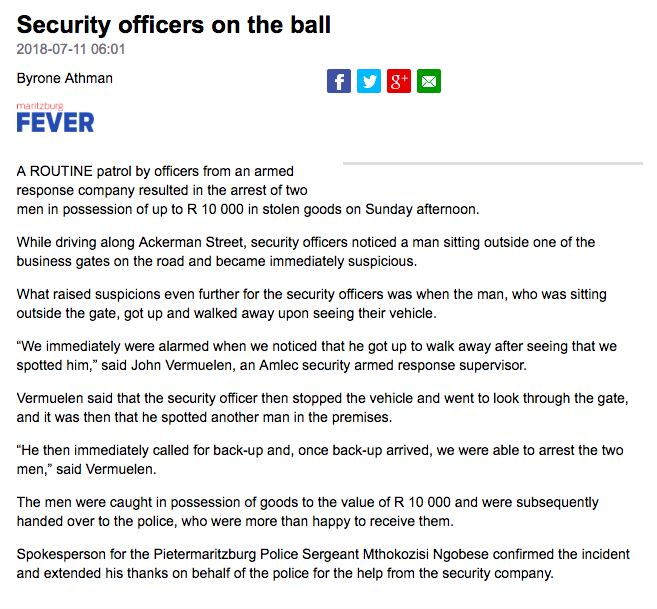 The story was covered in the Maritzburg Fever newspaper, as well as on News24. You can read more, either via this News24 link, or on the screenshot we have included below.